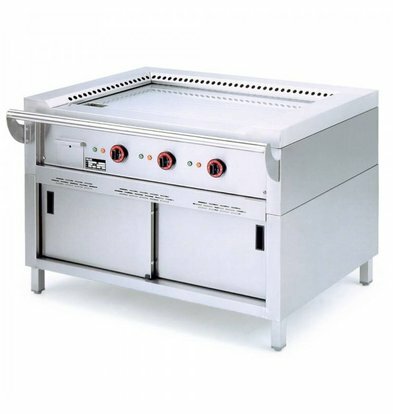 Looking for the best quality and the largest teppanyaki grills? Order them at XXLhoreca! Prepare dishes in teppanayaki style? When choosing a top quality teppanayaki grill lets you naturally guided by safety, energy efficiency, ease of use and maintenance. 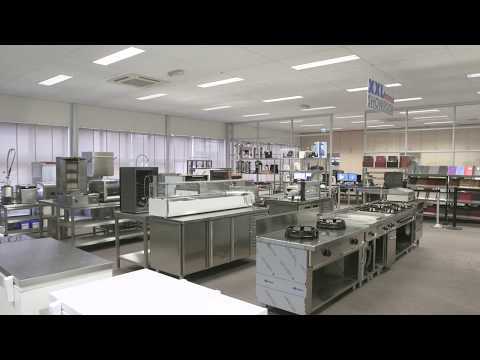 XXLhoreca to choose from a wide range teppanayaki grills superior brands such as Diamond. 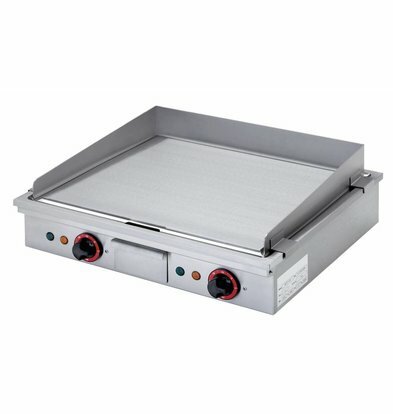 Whether you are looking for a tafemodel teppanayaki grill or a larger device, you can choose from dozens teppanayaki grills, all made from the most durable materials. This ergonomically designed teppanayaki grills are all used in any major or minor hospitality environment. Our great teppanyaki grill 2 x 3.5 KW is not only a smart funnel for draining fats, it also comes with a robust polished hob with an excessive thickness as well as a built-in cupboard with two doors. Cook teppanyaki style on headroom as it therefore belongs. 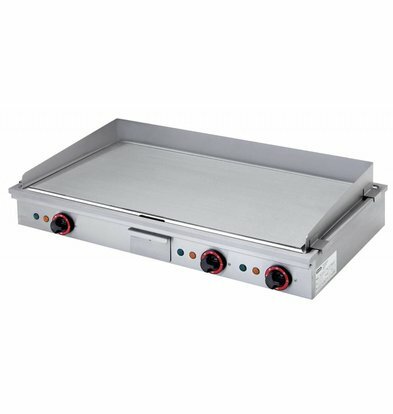 The tabletop teppanyaki grill 2 x 2.7 KW of 58x50cm offers a solution to every entrepreneur who needs a compact teppanayaki grill, a grill that can be put down everywhere. All teppanayaki grills XXLhoreca that are listed below are available within 48 hours at each address.